Explore poverty from the perspective of the family. What resources are available and what obstacles do many families face surviving month to month? This timely simulation is provided by CAP Services and continues our discussion surrounding the Fox Cities Reads 2019 book, "Evicted" by Matthew Desmond. Pick up your copy at the library today. Friday, January 25 | 1:30-4:30 pm. Event registration is required. 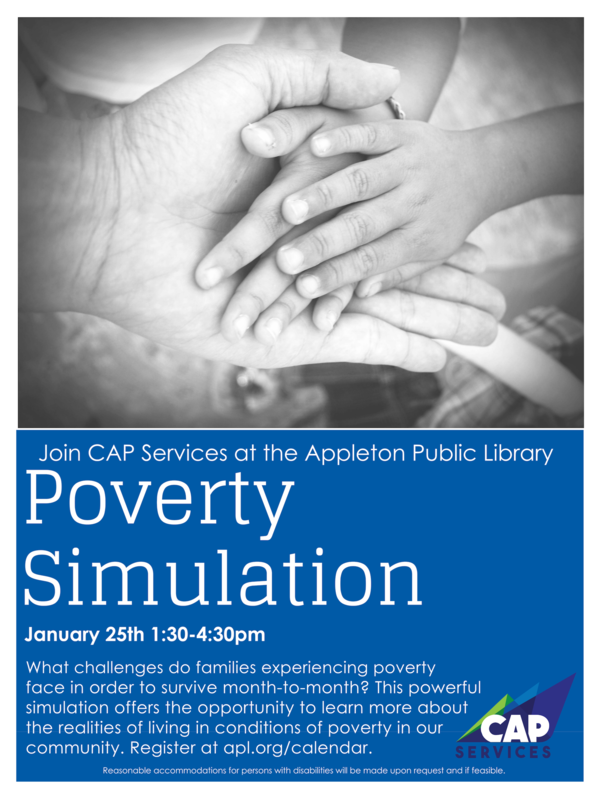 If you would like to volunteer for this event, please contact the Appleton Public Library at 920-832-6346.